The Liaison Collaborative opens its doors at 3 PM for its March round: Hello Spring! 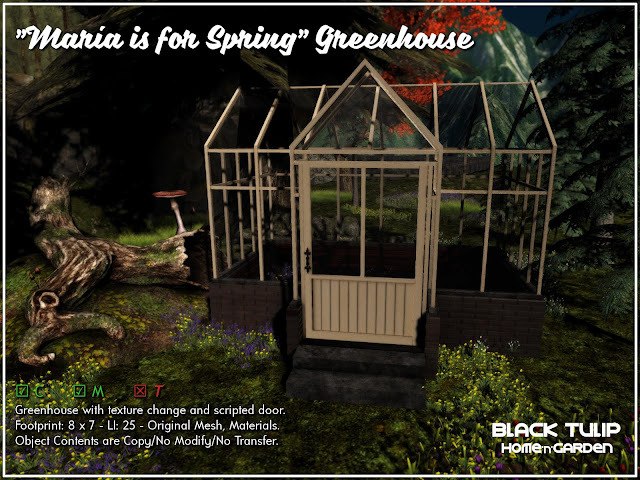 We're participating with one new release: the "María is for Spring" Greenhouse item. It's scripted with texture change and open/close door on click, and released 40% off its price during this round at the event location. Click here for your taxi!